A small village pub which was saved from closure by the local community has won CAMRA’s National Pub of the Year award – one of the most respected and well-known pub awards in the UK. When the closed in 2008 it left the small North Yorkshire village with no other facilities for its residents apart from a village hall. Within two years, the community banded together to form the Hudswell Community Pub Ltd group and bought back the pub, re-opening in June 2010 after extensive renovations. The community was determined that the George & Dragon would offer far more than a traditional pub. As well as acting as a meeting place and venue, it is also home to the village library, a local shop staffed by volunteers, community allotments and free internet access for its patrons. CAMRA was particularly impressed with the pub’s warm and welcoming atmosphere and strong community ethos. The homely multi-roomed country inn has a large beer terrace offering fantastic panoramic views over the Swale Valley just a few miles from the market town of Richmond. In addition, the current landlord has shown a great passion for quality beer, greatly extending the range of real ales and cider available. The pub will be presented with a plaque by CAMRA’s National Executive representative Ken Davies to commemorate the award at an event open to the media on the 3rd March 2017 at 1pm. Paul Ainsworth, CAMRA’s Pub of the Year Finalist Coordinator says: “The George & Dragon is a great example of how a pub has been resurrected as a true community asset. 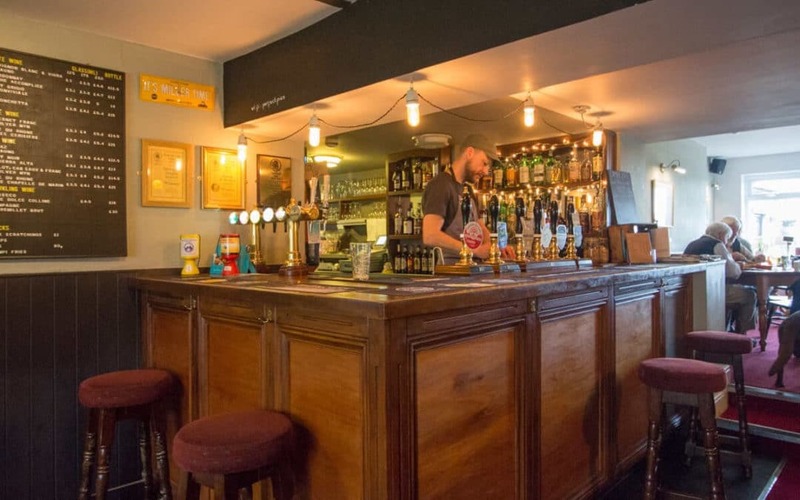 To go from closed doors to winning national Pub of the Year in just a few short years is a fantastic achievement for any pub – and all the more impressive for one that is cooperatively owned. Stu Miller, Landlord of the George & Dragon says: “We are truly thrilled to have been recognised by CAMRA with this award, it shows that hard work, good beer and the support of the community can help you achieve goals that seemed impossible only a short while ago. “Since we took over the George & Dragon in 2014 we’ve strived to achieve our vision for the pub… a small friendly Dales village pub serving first rate beers and wholesome food. To be appreciated for these goals by our customers and CAMRA is extremely satisfying and makes all the hard work worthwhile. The CAMRA Pub of the Year competition is run with the simple aim of finding the best pubs in the country. Pubs are selected by CAMRA volunteers and judged on their atmosphere, decor, welcome, service, value for money, customer mix and most importantly – quality of beer. All nominated pubs in the competition are independently assessed by a panel of CAMRA volunteers throughout the year. Runners up in the competition are the Salutation Inn in Ham, Gloucestershire, the Stanford Arms in Lowestoft, Norfolk and the Swan with Two Necks in Pendleton, Lancashire.